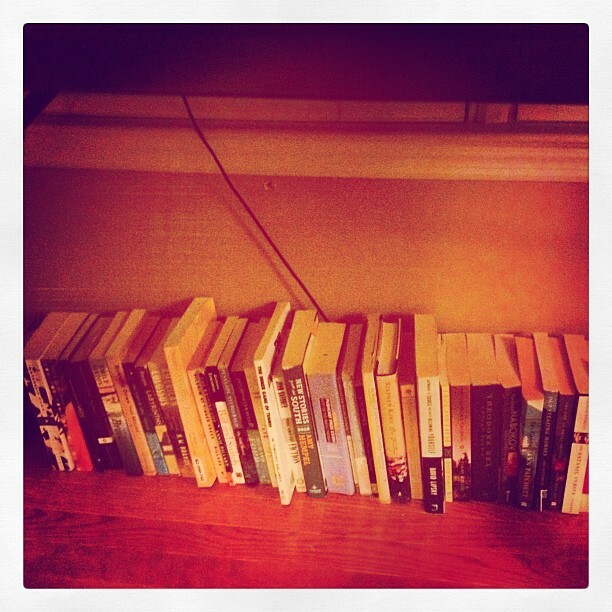 Blog about books everyone is reading now, or will be reading soon. More readers will take part in a conversation about a book they’re excited about, too. Blog about books everyone has already read. Posts about books that you loved in childhood (or despised in high school) will reach a wide audience. Certain books – The Very Hungry Caterpillar, Lord of the Flies, The Bell Jar – evoke the same memories and emotions for many people. Blog about obscure books that nobody has read, but that taught you something fascinating. If you read a book about a little-known island nation where the people eat only pie and ride domesticated bears, we’re interested! Share your life through the lens of what you read. Where were you while you were reading this book? How did the book inform your life at the time? Is it the perfect book for a broken heart? The worst possible book to read at the beach? Digress. If you are reviewing, say, Freedom, feel free to discuss marriage, the Midwest, Jonathan Franzen’s glasses, and anything else that the book brings to mind for you. Go off on tangents. Your readers might be more interested in what the book made you think about than the book itself. Develop your voice. My favorite book bloggers write with personality – some are wits, some are cranks, some are pedants, but each has a unique and compelling point of view. Have an opinion. Choose to review books you feel passionately about – whether you love or hate them. If you think the book is just meh, your post about it will be meh, too. Interact. Involve your readers with a reading challenge, a group read, a tournament. Reading is a solitary activity, but book blogging doesn’t have to be. Oh, and one final rule for book blogging: no spoilers! Do you blog about what you read? Do you have any favorite book blogs we should check out? Explore the Books and Literature tags for more book blogging inspiration on WordPress.com! He includes interesting notes on the author, the publishing history of the book, and the reasons a particular book might be more or less valuable. Give it look. I have actually started doing book reviews on my blog and this is really good advice! I’ve been trying to figure out ways to make this more interesting and this will definitely help! Thanks for the link! Come join us at Throwback Thursdays, where for the next few weeks I’m featuring books I loved to teach as a high school English teacher. I promise you will love them now, and I won’t make you do a book report! I love reading so it was only natural that it would extend to my blog at some point, and it did with my fist book review of sorts just yesterday. Thanks for the tips. I remember doing a book review on my blog in last year about the rap lyrics. Blogging about books is that I need to do. Thank you for the link! We are so happy and fortunate to be able to share our love of writing and books with the amazing WordPress community. hmm.. these are some great adivce, I’ve thought of book blogging before, but I have GoodReads account I could just write my reviews there. Actually ‘blogging’ about books, we can be as detailed as we want and more. Thanks for the great advice! It looks as if I’m doing some things correctly. Funny you should ask: I just started a reading challenge for children’s literature and plan on making every post a little different from the last! I’d love some of you to offer your suggestions so please drop by! This one definitely caught my eye – I’ve been doing a book review podcast for the last 2-ish years, and moved over here to WordPress about a year ago or so. The blog is here, at http://thelablib.org/ and there’s all sorts of links to the podcast as well. Once a week, 15 minutes or less. It’s a high point of my week, and I hope it can turn others on to some of the books that I really like. This was a very helpful post. I’ve just started trying to write book reviews and have been seeking advice on how to make them interesting. I’m also pleased to see the additional help and sites given in the comment section by fellow bloggers. I think you’re so right. I write about books I enjoy, whether from the free downloads on Kindle, or those I’ve read over the years. I get most comments for the older books. Can’t resist it, I have to add a link to the blog! I didn’t intend to have a book blog, but the more I wrote the more I realized I just loved talking about books! I’ve seen the other posts in this series and was patiently waiting for you to mention book blogs! Definitely going to incorporate these tips into the future managing of my blog. 🙂 Thanks! Great tips! I have been looking for tips on writing book reviews since that is one thing I enjoy using my blog for. Writing however does not come easy for me. I would appreciate it if you would check out my latest book review and tell me what you think. Does it make you want to read the book also? I have two blogs – one for my fiction and one for my nonfiction, (mostly about family life, fibromyalgia, and rearing a child with autism), but not a blog dedicated solely to books. Instead, on my nonfiction blog, The Life of a Working Writer Mommy, I have a page that is my bookshelf: http://writingwonder.wordpress.com/deannas-bookshelf-2012/, where I write [very short] reviews of every book I read – and I read a lot! There’s a page for each year since I began blogging, in 2010. Thanks for all these links for, as an avid book-lover, I appreciate great book blogs! Really sound advice. It’s easy to find a book that you feel really passionately about, but that doesn’t always mean it’s review material. After all, if you just had a blog full of positive reviews of books people had never heard of, it would be a bit dull for the audience. i think i might join #postaday project. but which one? in my first blog (faraziyya) or my book blog (blogbukufaraziyya)?